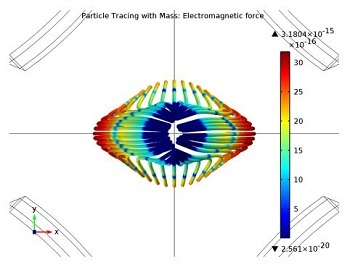 What happens when you place a vibrating conductive object in a static magnetic field? The magnetic field will induce a current in the moving solid and the charges moving through a magnetic field will experience a force. The resultant force acts to oppose the motion of the structure, which will lead to damping. 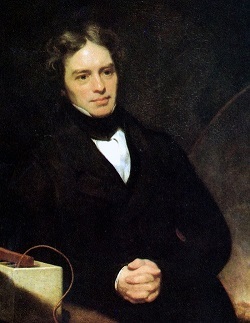 Michael Faraday was a famous British physicist and chemist. His remarkable contributions, particularly within electrochemistry and electromagnetism, helped pave the way for breakthroughs in modern science. Last month, my colleague Alexandra Foley introduced an RF modeling example that uses periodic boundary conditions. 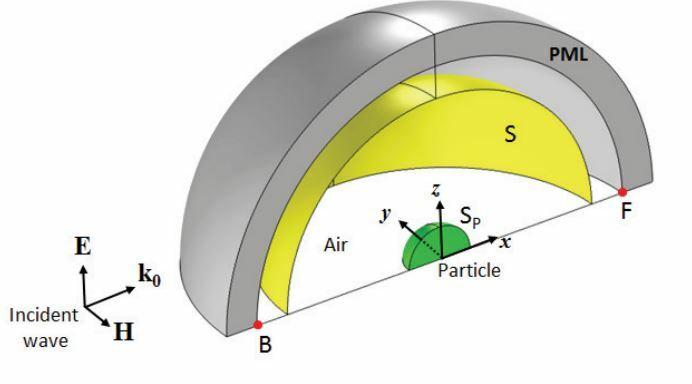 Another RF model that can be created with ease by taking advantage of periodic boundary conditions is the Frequency Selective Surface, Periodic Complementary Split Ring Resonator model. 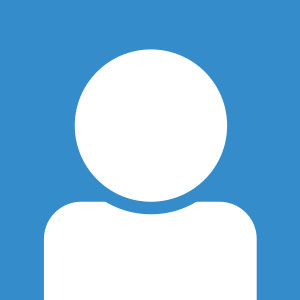 Researchers from AltaSim Technologies presented a paper at last year’s COMSOL Conference in Boston sharing their analyses on Mie scattering of electromagnetic waves and how they compare to the Mie solution. If you walked into a particle or nuclear physics center, like the world-renowned CERN, you may come across a magnetic quadrupole lens (after security clearance, I would imagine). Here, we’re going to discuss what magnetic quadrupole lenses are and study the focusing effect three consecutive quadrupole assemblies have on B5+ ions traveling through such a lens. 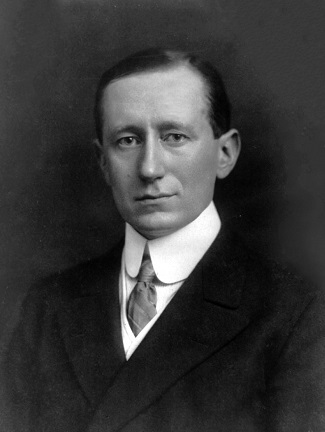 Guglielmo Marconi was a Nobel-Prize-winning electrical engineer and an Italian inventor who is best known for pioneering long-distance radio transmission and the commercial success of radio. Facial reconstruction methods are often needed to treat bone gaps that result from birth defects and injuries. 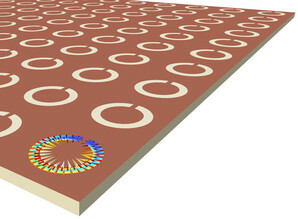 At Texas A&M, researchers have developed a shape-memory polymer that has the potential to fill in critical-sized bone defects in the face, as well as allow for the growth of new bone cells. 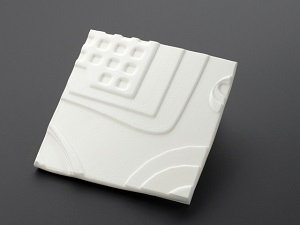 Topological optimization is routinely used in the design and refinement of microfluidics devices. The process also comes in handy for modeling a Tesla microvalve. When you lose power at home, you may use a shaker flashlight to navigate about your house. This type of flashlight relies on voltage produced by electromagnetic induction in order to be powered. How much voltage can one of these flashlights produce, do you think? Here, we find out through computation, using the AC/DC Module. A recent discovery indicates that certain particles can be drawn into crystalline structures through the controlled use of ultraviolet light and chemistry. 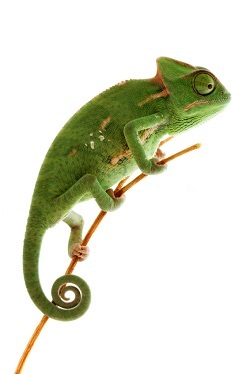 This discovery can eventually lead to the possibility of creating color-changing surfaces and materials for reasons of dynamic camouflaging. When designing magnets, you want to save resources by using as little material as possible, while generating as large of a force as possible on the object in question. 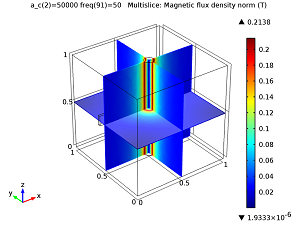 To calculate the force of a one-sided magnet, you can use COMSOL Multiphysics and the AC/DC Module.